The company originally stated that it would be launching sometime in the Summer but that season came and went without news on the game. It wasn’t cancelled however – just re-tuned as Tap That. 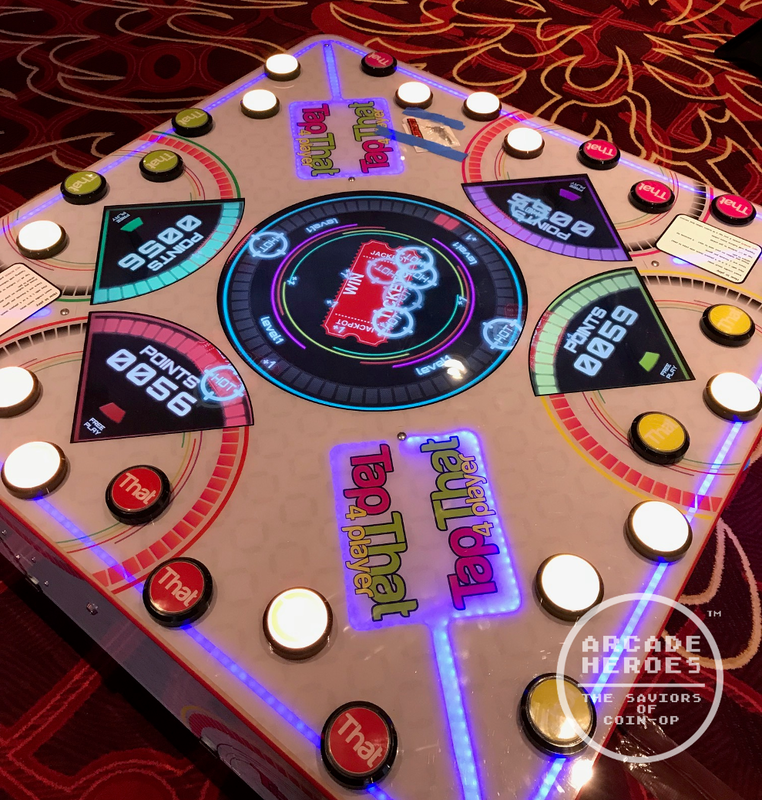 Presented this morning by Barron Games to the AAMA Gala, the game will be playable at said Gala tonight and it will also be at IAAPA 2017. General availability was announced as Feb. 2018. Tap That is virtually the same game as Catch The Light Frenzy was going to be, with a few changes. The most obvious change is that of the art package, now a creme color instead of black and multi-color LED lines along the top. 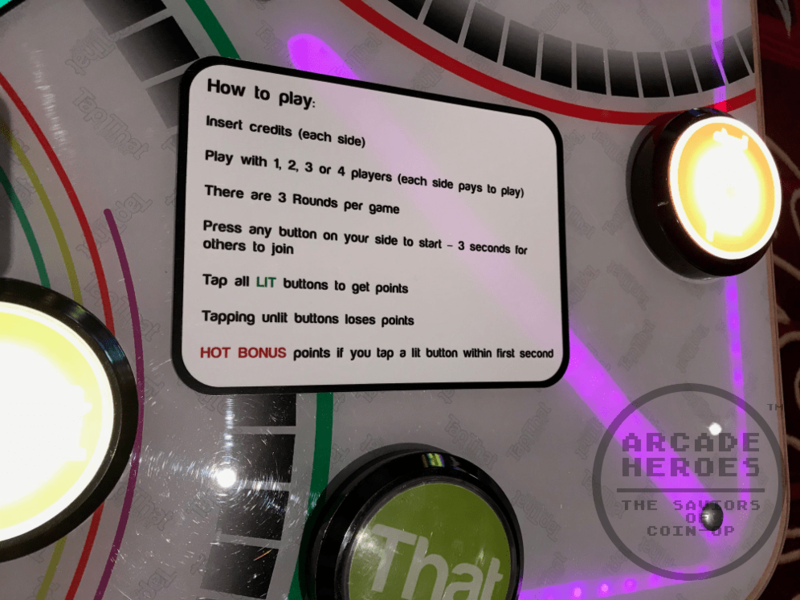 The game also has 9 buttons to tap per player instead of 6. You’ll also notice from this picture below that Barron inserted a little humor into the game by printing the word ‘That’ on each button. The object of the game is the same – it is just like Catch The Light or LAI’s Speed of Light. When the buttons light up, you need to hit them. Hitting a lit button rewards you with points while hitting a button that is off subtracts from your score. It’s a simple concept that worked great as a 2-player game but should prove more exciting as a single player game. This can be used as an amusement only or as a ticket redemption game. 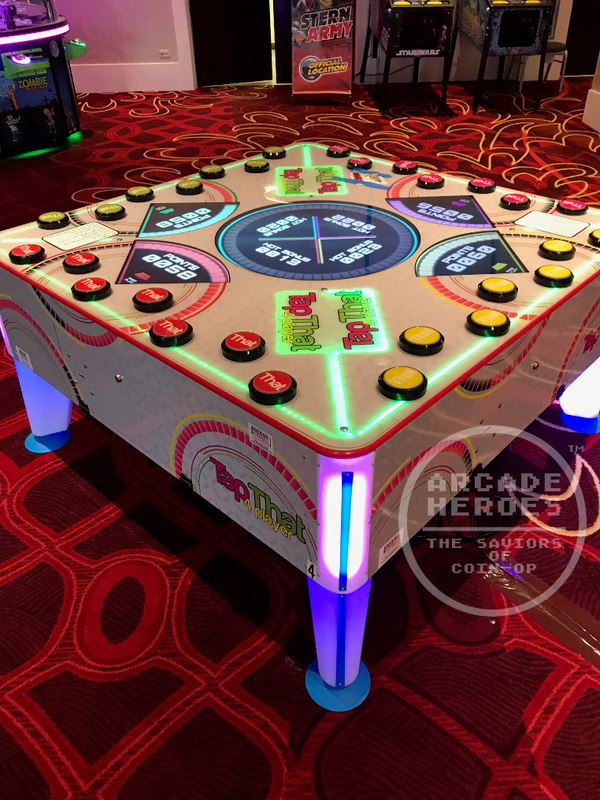 I’ll be sure to have footage of this from IAAPA; what are your thoughts on this new twist to the concept? Are Glasses-free 3D TV's what the arcade industry needs?